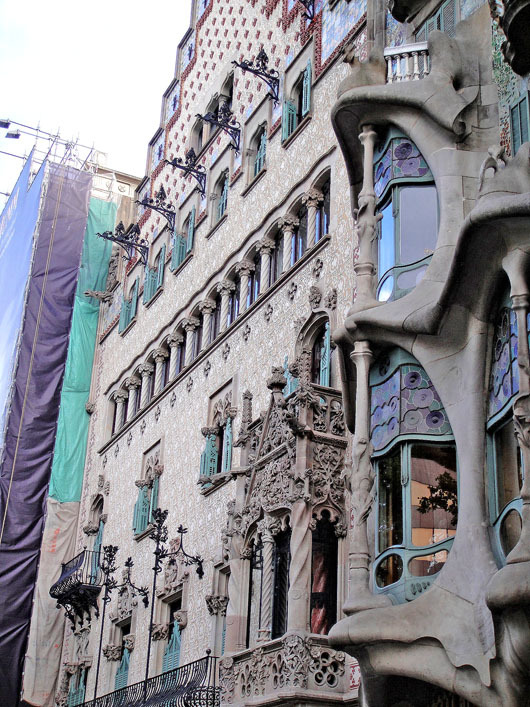 I had always thought Antoni Gaudi’s buildings were….well gaudy! My minimalist aesthetics were offended by all that ornamentation, and I never really paid much attention to his work. 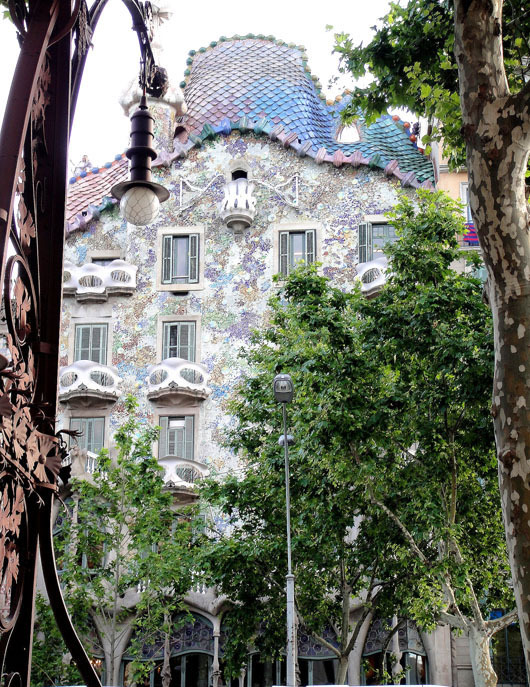 But as soon as I stepped inside this iconic building in Barcelona, I knew I had been so mistaken…..about Gaudi and about modernist architecture! One of the trio of modernist buildings on Passeig De Gracia, comprising the “Manzana de la Discordia”, the Casa Batllo is radical, absurd, functional and exceptionally beautiful, all at the same time! Remodeled from an existing structure for the textile magnate Joseph Batllo between 1904-1906, this is one of Gaudi’s emblematic works. It served as a luxury apartment complex and the Batllo family occupied the Noble floor with its large living spaces and private terrace, up until the mid 50’s. It was deemed a World Heritage Site by UNESCO in 2005. Today – if you have the moolah – you could pretend you are a 19th century business tycoon for an evening, and celebrate a special occasion, right on the ‘Noble’ floor of this very special building! Between 1898 and 1906 three adjacent houses were built on one block on the boulevard ‘Passeig de Gracia’ by some of the most important modernist architects: Casa Lléo Morera (designed by Domènech i Montaner [behind wraps), Casa Amatller (designed by Puig i Cadafalch) and Gaudí’s Casa Batlló. The term “Manzana de la Discordia” is a play on the word ‘Manzana’ which means both ‘Block’ and ‘Apple”! The façade of the Casa Batlló is covered with colourful Trencadis (mosaic) in shades of orange to blue green! Some fantastic claims suggest that the facade represents the sea and the reptilian roof – St. George (the patron saint of Catalonia) and the slaying of the dragon! Windows are smaller on higher floore to ensure uniform, natural lighting at all times! 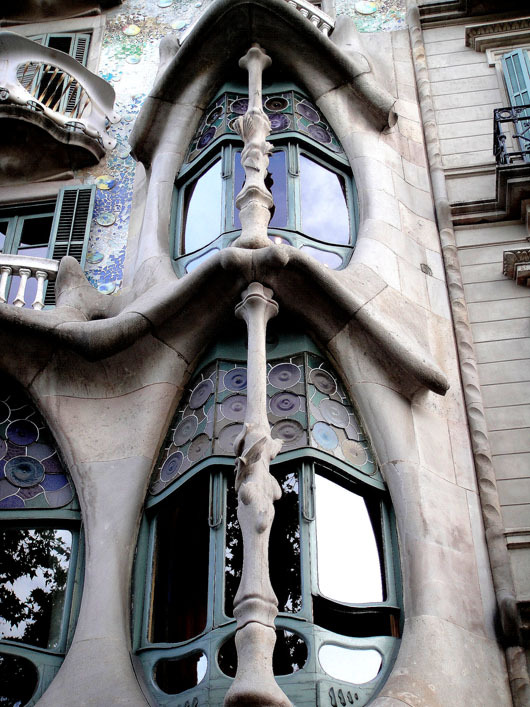 The compass and T Square are an architects tools of trade (even if CAD has rendered them virtually obsolete today) and Gaudi appears to have thrown them out the window, when he designed this house! From the Trencadis (broken ceramic mosaic) covered facade to the fairy tale interior, there is nary a straight line or corner in sight! For he argued that these shapes do not occur in nature and nature was his primary muse! Art Deco and Art Nouveau intermingle with impunity here! Bizarre decorative elements proudly proclaim that he is no slave to popular sentiment. But somehow, amazingly, they all come together! And beautifully! Mainly because of his attention to proportion and detail. To the innovative use of shape, colour and light….techniques that have since been borrowed by many contemporary architects. Nuff said. Check out these images and let me know what you think! 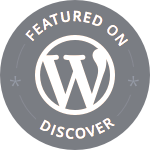 Welcome to my blog Nonoy! Appreciate your kind comment! Have no doubt you will love it! Thank you! Wonderful photos, Madhu. I was also completely bowled over by his architecture when we visited Barcelona a few years ago. Is the Gaudi cathedral completed yet? We probably went before you, but I don’t think the Sagrada Familia is likely to be completed anytime soon 🙂 2026-2028 is the estimated completion date! Thank you for your kind comments Sonel! I love beauty….beautiful buildings as a city girl are a joy. Nature as a country girl are my bliss. Wonderful building – thanks for reminding me of my visit there! You are most welcome! Thank you for visiting! Delighted that you loved it! Appreciate your feed back! Well done. These are presenting so well the Gaudi house. I love the variety of photos which You presented. Thank You Sartenada for your kind comments! I’ve always been fascinated with Gaudi’s works. His imagination was exceptional, even for modern-day standard! Love all the details. Those modernist architects were all amazing! Montaner for example has some great buildings to his credit! Thank you for reading Bama! I have not seen any Gaudi architecture yet, but really would like to do so. Great pictures, Madhu! Barcelona is a treasure trove of Modernist architecture. You would love all of them! Gaudi’s building are not only unique, they actually have their own spirit. At least I felt them that way, when I was in Barcelona. Thanks for these photos and for the post! It reminded me one of my best joutneys so far. I didn’t know a lot about Gaudi when I went to Barcelona, but I ended up falling in love with his work. It’s unusual and unique. There is a bit of opulence as well as a free-flowing abstractness. Interesting! I understand – I think I’ll go for it! Gaudí was the main reason I went to Barcelona – I was not very fond of the city but the beauty and innovation of his creations made up for everything else! I find it absolutely amazing that he designed all those buildings long before the development of CAD and other computer software. Nowadays boring grids, straight lines and soulless glass walls seem to be the norm! it is truly amazing! I loved Montaner’s work as well especially the Palau Musica Catalana. Couldn’t catch a concert there unfortunately. Would love to return and do the entire modernist loop across the Catalan region! Thanks Jodi! You will love Barcelona! Oh my… amazing captures! Thanks for sharing! Thank YOU for reading Nelson! I agree, sometimes you have to see something first hand to really appreciate it’s beauty. You captured it so well! Your pictures Thrill and Inspire!!! God Love You and thank you so much for sharing!!!!!!!!!!!! I am sure you will and love it! Thanks for the visit and comment! Several more coming up if you need that nudge 🙂 Thanks Indra! Beautiful photos, Madhu. What a bold brave style, and you really capture it. Glad you think so Naomi! Thank you! Thank for you sharing these amazing photos. I love the windows. Thank you again for another wonderful blog. The photos are wonderful, and the subject matter even more so. I’ve never been to Spain, nor Egypt or Peru, so your presentations are very welcome. I enjoy them very much. Thanks. @ Northern Narratives, Thank YOU for your feedback! Interesting Design – thanks for sharing! Have a Great Weekend! Thank you Madhu for sharing these amazing photos of Gaudi’s mind blowing architecture. I love Gaudi. Nice to know so many Gaudi lovers! Thank you for reading Anette! This is one building I am DYING to get inside. Or even outside would do for starters! You will love it 🙂 Don’t miss the Casa Mila either. That is absolutely the most amazing thing I’ve ever seen! I LOVE the windows! The outside architecture is something else! Thank you so much for sharing this! That is exactly what i said when I saw it 🙂 Glad you feel the same way! You really do put a lot of hard effort into your posts; we are entertained while being informed. Thanks. I love Gaudis work! It has been at least 20 years since I was in Barcelona. Thanks for taking me back! Most welcome Nicole! The Casa Batllo was not open to the public then, was it? I don’t think so. I can actually hardly remember much since it was so long ago but I do remember how much I loved his architecture! That kind of describes the place 🙂 Thank you Lilly! I have mixed feelings on Mr. Gaudi’s work. I like certain elements of it, but then again, if I were chosing an architect to design a lush building for me, I doubt Mr. Gaudi would stand a chance. His stuff is a little too way out there for my liking. Nice post on your behalf though. Nice photos, too. I know a lot of people who feel that way! In fact I was surprised that no one said so thus far! Would I live in a place like that? Probably not. But i wouldn’t live in a Baroque palace or a Victorian manor either, because I do like my stark straight lines, however unnatural they may be. I would love to incorporate a lot of Gaudi’s interior elements into my home though! That staircase was to die for and those stained glass windows and the sinuous doors….I could live with them for sure 🙂 Thank you for your honest feedback Marcia! Appreciate it! Wow. I tend to be a minimalist as well, but I really like this building! Thanks for the post, Madhu! While Gaudi’s building would certainly hold my attention, I don’t know if I can get past the gaudiness of it all. He definitely had imagination, a vision, but did he just do it all tongue in cheek I wonder? Possibly. I felt the same till I saw it first hand and changed my mind. I still think the exterior is a bit much 🙂 But the interiors are actually quite elegant! His other buildings – not including the Sagrada Familia and the awful Parc Guell – are not as over the top as this one. Far cry from Frank Lloyd Wright! That is true 🙂 I LOVE Frank Lloyd Wright! That is one unique and amazing building! Hi Madhu! I’ve just nominated you for the Beautiful BLogger Award! Congratulations! Thank you so much for the nomination! Honoured that you think me deserving! Amazing ! True his works are just awesome ! They truly are! Thank you for the comment Ranadive! Good architecture, even tough to construct today..
one more thing … STUNNING photos! W-O-W !!! keep them coming! You really are kind 🙂 Thank you so much! Glad you liked it Marina! Thank you for the visit and comment! Wow, beautiful pictures. I absolutely love Gaudi’s architecture but haven’t had the chance to see them in person. My cousin is about to graduate with a master’s in Architecture so I’ve seen some pretty spectacular things through her. Your website and photography are beautiful. Thank you Alex! Appreciate your encouraging feedback! Great photos of the work of a great man. If only he was around today – I’d love to ask him to design an apartment for me! 🙂 Glad you like it! Thank you for stopping by! 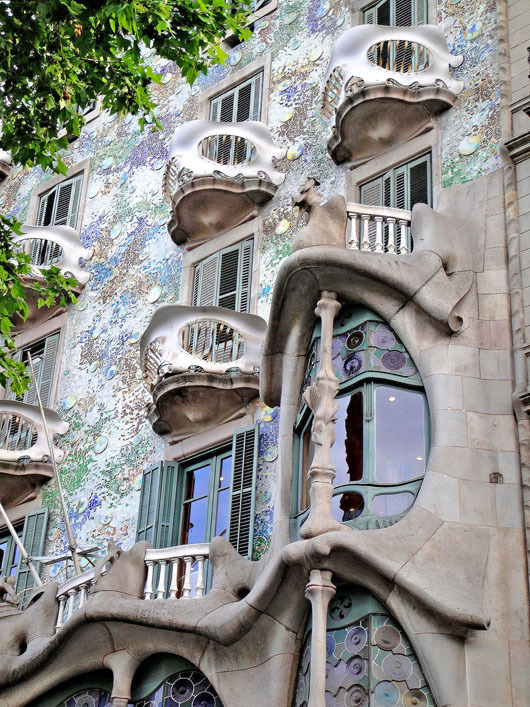 Would be awesome to live in a Gaudi building! Hi Sania! Thank you so much for your visit and kind comments! Hope to see you around.